Metal executive look business card holder with secure close. 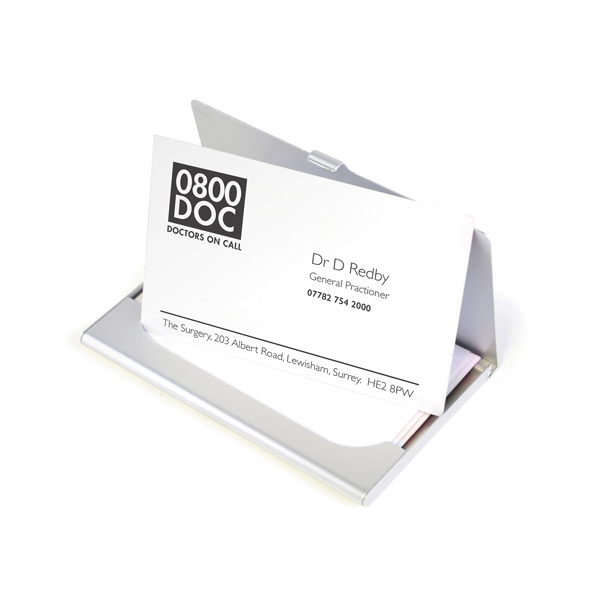 It has a great personalisation area to promote your brand. Compact slim line design to fit perfectly into your jackt pocket.